Okay, kinda-sorta a week. A lot of major issues are up for discussion in the coming days, and we urge readers of The #spokanerising Project to make a strong showing in support of our parks, our neighborhoods, and our communities. Special Parks Board Meeting: Riverfront Park Master Plan. We’ve written extensively in the past about plans for Riverfront Park. Tonight, Thursday, April 24, the Parks Board will be hosting the second public comment period on the Riverfront Park Master Plan. Public testimony will be taken from 6-8pm in the City Council chambers. Free parking is available for participants in the Riverfront Park lots. Summit for Neighborhood Fairness: Part II (The Strategy). Futurewise Spokane is collaborating with Spokane City Councilmembers, community groups, and neighborhoods to host a forum on possible policy changes that could result in more livable communities and environments. Participants will prioritize proposals and develop a clear strategy for their implementation. This will take place Wednesday, April 30 from 5:30p-7:30p at the downtown branch of the Spokane Public Library. More information is available here. Proposed Land Use Action: A Workshop for Neighborhoods. 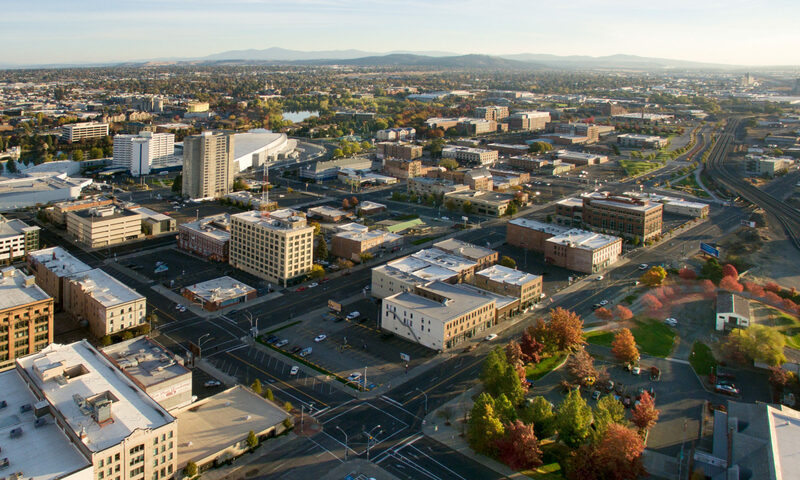 Futurewise Spokane will be working with neighborhood groups and its Director of Planning and Law, Tim Trohimovich to enlighten neighborhoods on strategies for land use proposals. Tim will be speaking about navigating the land use process, SEPA, and permitting processes. This will take place Thursday, May 1 at 2:30p at the downtown branch of the Spokane Public Library. More information is available here. These meetings are important for developing a strategy for Spokane’s future development and planning. We encourage readers to attend and offer a vision of a vibrant, denser, more livable Spokane where people love to live. Spokane’s Volume Music Festival, which is sponsored by the Inlander, is a fantastic event that has grown by leaps and bounds since its early days several years ago. Now being held for two days in late May, Volume has exceeded the wildest expectations of many, helping to launch newer groups and grow fan bases. But let’s dream bigger. How about attracting some more regional acts? How about using new venues (that Riverfront Park amphitheater can’t be completed soon enough)? How about committing to making the event 100% all-ages? We’re looking forward to this year’s edition of Volume, but we can’t help but wonder what the year after will bring, or the year after that. Let’s hope it retains its hyper-local, non-commercialized roots while finding a good mix of local, regional, and perhaps smaller national (think indie bands with smaller fanbases) acts. There’s much to love about Spokane’s music scene, and Volume is an ode to its liveliness and authenticity.